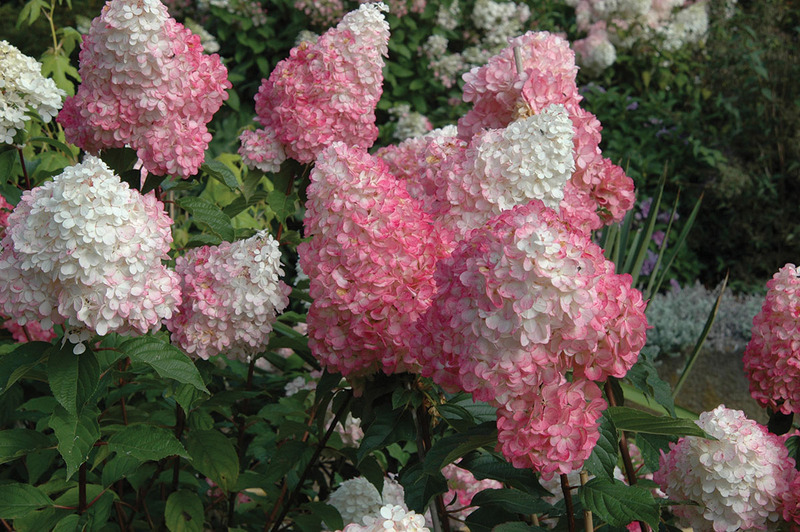 Hydrangea paniculata ‘Vanilla Strawberry’ | J.C. Bakker & Sons Ltd. Spectacular blooms emerge pure white then develop through the season into a delicious raspberry pink. One of the easiest shrubs to grow. Hardy down to -20c. SKU: 32060302. Categories: First Editions, Shrubs. Tags: First Editions, Hydrangea, paniculata, Vanilla Strawberry.